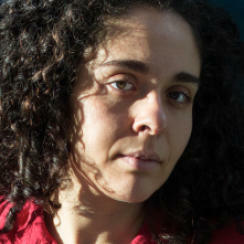 Brunna LABOISSIÈRE (1988, Brazil) is a director, screenwriter and cinematographer. She graduated in Architecture and Urbanism from the University of São Paulo. Laboissière started her career in cinema, working on short films as a photographer and production assistant. In 2016, she founded the production company Artemísia Filmes, which focuses on independent cinema. Fabiana (2018) is her first documentary.